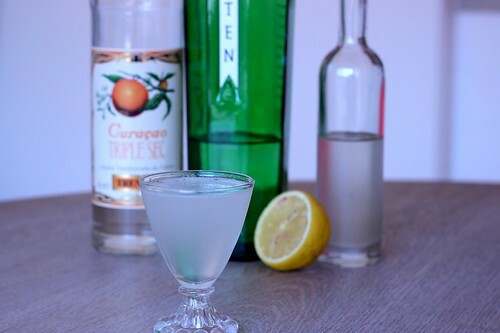 This is a classic drink which is basically a gin sour with the sugar swapped for curaçao, so I’m always game for that. Again, Axel is bringing on the sugar though. Equal amounts of curaçao and sweet and sour (half lemon juice/half sugar) sounds like way to much sugar for a sour drink. The Lommebogen recipe is quite sweet, as expected. He just needs to leave the sweet and sour alone, and stick with lemon juice most of the time. The Café Royal/Savoy version is much nicer without all the sugar, though it actually isn’t as flavorful as I was expecting. That said, it’s a refreshing, simple drink. I think I’d kick up the lemon for more flavor, and end up with something like the Lommebogen proportions, but using lemon juice instead of sweet and sour.